Unfriend -- a new word though trust Blogger to still thinks otherwise. Heard it on NPR day before and I was surprised, so "unfriending" was not a word all these days. How else could you explain the ebbing away of the people you once knew ? It is true I have not really "unfriended" people formally for ages. People just flow in and out of my life, some without even a formal good bye, they move away, I lose interest and one fine morning I ask D, "You remember T, she used to make such lovely shorshe chingri, heard they moved to a new home, its been years that we have talked to them". I don't make an effort to befriend T again, I have moved away, even if I call there won't be much to talk about so I don't. But I haven't "unfriended" her, if I ever refer to her shorshe salmon to new acquaintances I still say "I had a friend T". My daughter and my neighbor's daughter "unfriend" each other almost every day. Every afternoon I hear "N says she is not my friend any more". There is hurt in that voice, the pain of rejection.Before, that pain used to hurt me, I used to reassure her "It is ok, you can make other friends". Now I know to ignore, almost every evening they get together and play again. I am not sure how the "befriending" happens, they don't lock their thumbs, they don't do anything, they just become friends. This post reminded me of my childhood, those days of "aari" and "bhaab". The little girls holding up their cute pinkies and declaring a somber "katti". An hour or so of not talking to each other, not making eye contacts and then everything forgotten as thumbs were locked into "bhaab". If things were really rough, there was even a poem, a very humiliating one, to end it all. That is how we did it then, formally with decorum. How do you "unfriend" for that matter, now that you have been reminded you can ? Do you just bump people off your contact list and send them a "unfriendly" message ? Soon will you also "unfollow" on Twitter ? I befriended "Sarson Saag" very recently. Strange as it may sound, I never had it back in India. The famous Makki di Roti and Sarson di Saag never enticed me enough. Recently Baby A's nanny, M Didi, suggested that we get "shorshe shaak" or mustard greens and she would cook it for us. We never saw Mustard Green at the Indian Grocer's and then one day she pointed out to broccoli rabe at the Farmers Market and declared it to be "shorshe shaak". So that is how Broccoli rabe was re-christened as sarson saag at our home and later as I learned in many Indian homes across USA. Her preparation of the greens were ok, nothing to be talked home about. And then one of my colleagues who is a Punju shared his lunch of sarson di saag with me. The greens were delightful, creamy and delicious. A call to his wife later, I got the following recipe. I have tried it only once since and have not measured the ingredients, follow your instinct and you will do fine. Take the greens out, add a little chickpea flour to them and make a smooth pulp or kind of paste out of them. I did a coarse puree but technically you are not supposed to use any electronic gadget. Trivia: In north India and Pakistan sarson is more intimately entwined with village life. Sarson is a surprisingly resilient plant that resists infestation and is not easily affected by adverse weather. It is, therefore, eminently suitable to an unsophisticated rural economy. Wide fields of blooming yellow mustard, the sarson ki khet is a popular shoot location for Bollywood romances. I guess you already know this.......you are an extremely good writer. And a very good cook. I tried some of your recipes like Bhapa Sandesh. They were a hit. But your writing is still better than your recipes :). tomar lekha poRle mon bhalo hoye jay. I agree. This is such a well-written post. Brought a smile to my face. I dunno if I've unfriended anyone per se. Just losing touch I think. And that is why I guess Facebook is making money? As expected very unusual and entertaining post. For a child befriending and 'un-friending' happens very normally, often and may be very expectedly. While sonny R is all set to be teen, next July, the process continues. So every birthday, we get to see a different set of 'best' friends, barring a few who survive the onslaught of time. Sarson da saag is an all-time favorite of all Punjab da puttar, but after staying in NCR for over a decade, I have 'befriended' it and included it in the winter specialities. I have followed Sanjeev Kapoor's recipe, and as per roadside eating ettiquette serve it with Makke ki roti and 'gur'.A complete meal, squared off with a homegrown sweet(gur) that is rich in iron. Have a wonderful ThanksGiving and prepare well for a white white Christmas. Sandeepa ... remember you had suggested that I try to plant something in small things? I was inspired enough seeing your and Soma's fresh products from the garden and bought a couple of tubs. Threw in handfuls of mustrard seeds in one of them and they are doing well. Hope to make a post on them soon (cannot bear to pluck them just yet). :-) Much thanks for the motivation. I ve a small list of "unfriend"- just we loose contact and we really don't feel to renew it! Sarson da saag I never tasted before! I cant find saron here so this winter I haven't yet made the saag...it's something we enjoy every year, more so coz it's seasonal. 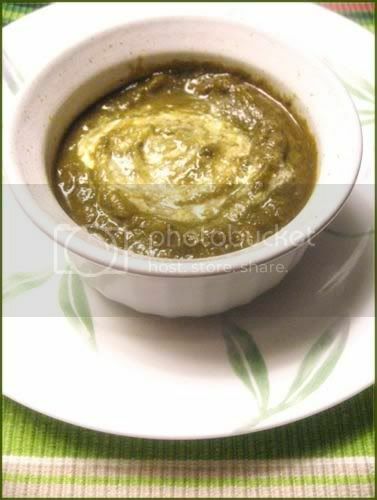 Makki di roti hot off the stove, a dollop of white makkhan and saag, perfect for cold winter! thats exactly the way in which we used to unfreind or befriend people during childhood. i even say this poem when my son doesnot listen to me or refuse to eat...though he does not understand a single bit and smiles at me. am not a person who unfirend people but yea I did it once and still refuse to talk to that person. not very fond of sarson da shaag as had to eat a lot during hostel days but your version looks creamier. would definitely try this with some paneer. Sandeepa, blogger thinks brinjal is not a word too. Who knew podcast is now an ancient word. Its time to befriend mustard greens or broccoli rabe would be the smartest thing to do. Your posts are always such a delight! I was chuckling too, when I heard that unfriending is now a proper word. The recipe looks excellent. Sarson da saag is perfect winter fare so I guess I should try this one very soon. I laughed out loud about your daughter and friend getting unfriend each other every day. I remember the days when i was young ( well a wouple of decades ago) and also when my daughter was very young. Sometimes I do think it is a pity as I have had few good friends and then they move back to India or somewhere else and youmiss them a lot but you can't do anything about it as they are living so far. What a beautiful post. Thinking about it I have unfriended more people than befriend in the past few years and are now left with a fistful of steady friends. aari ar bhaabh er poddo ta onek bochor pore shunlam ;-) floodgates of memories have opened and I am thinking that may be I have unfriended all those childhood friends along the way unknowingly. how sad. I make the sarson da saag the punju way now, kintu dida barite shorshe shukhno lonka foron diye shorshe shaak bheje dito.. tho it is a far call from the north indian version. That actually is a lovely idea. I have never planted mustard before. Now that winter is here all my plants have breathed their last. Earlier I used to bring some inside but now with A who likes to dig out dirt from my pots, I have refrained. What will they come up with next. did you see the contenders for "unfriend" ?? Hey Sandeepa....How are you doing? I used to feel bad earlier about the number of people i have lost touch with or stopped having things in common..but i guess that is the part of growing up and moving in diferent directions.Actually i have never had sarson ka saag in india too...but do make it at home prolly once in 6 months! Looks like I missed quite a few recipes here Sandeepa. This looks great and love the pic too. I also just discovered that "unfriend" seem to have made it into the dictionary this year! I do like saag and yes, better with paneer, but have never been able to find the grens at the market. Maybe should try growing them or find a substitute! Bitter green are delish, aren't they? And for the likes of me sarson is indeed a magic word, the saag, the oil and the seeds included! Not to mention the beautiful flowers! 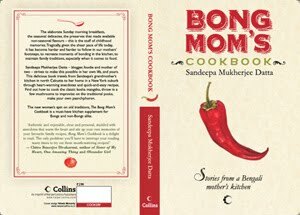 Sandeepa - I haven't been blog hopping much and looks like I missed a lot of yummy new recipes that you have posted! Definitely try korbo. Thank you so much for making me relive the childhood days..just wonderful writing as usual..Unfriending ...nice word indeed.. Try Lamb in sharosoN-Ka sag.. But may be the Sag will un-friend the Makki ki roti and go afer lamb.. When I was reading through the second paragraph of your post the same little poem came back to my mind. "Aari aari aari...", and there it was :). Those four words opened lots of doors left locked for years and almost forgotten. This was the poem which I think every girl (Bengali) knows by heart :). As for the sarson da saag, we absolutely adore it. A friend prepared it for us on our visit to India; the taste still lingers. I make it too, but it's not quite as good as hers. Do you get the real sarson ka saag ? How is the house hunt coming along ? Do you get these greens in Goa ? Yeah it was so common right ? Hi, ur post rings familiar to me Sandeepa. My 6 yr old daughter also has these bouts of "unfriending" her best buddy every time they meet. And I often wonder about all the friends that have come in/faded away from my life. Hey Sandeepa.. I bought some rapini last week. Just made your sarson ka saag as well as one of the ghontos (with potato) over the weekend. Both were great. Thanks for both recipes. :) Cheers and have a great day!